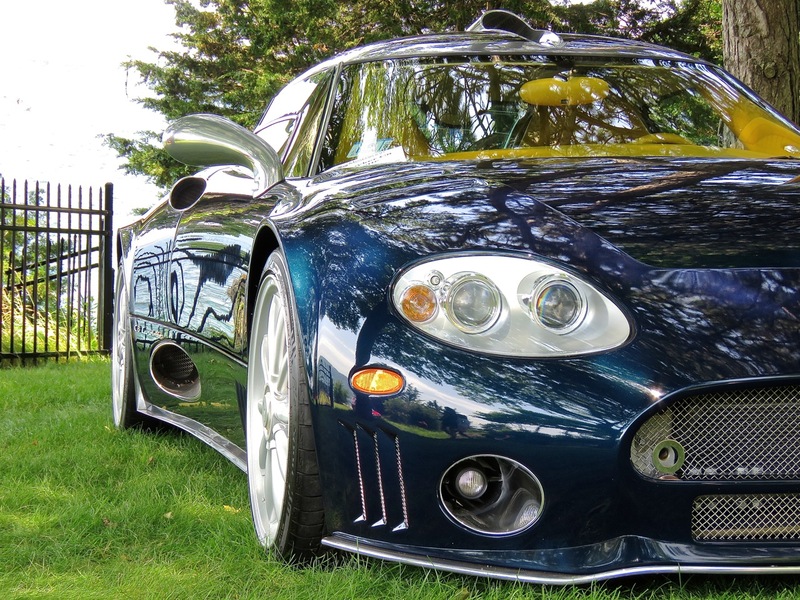 Spykers are beautifully crafted machines, as much works of art as they are sports cars. There are so many fine details to take in, and they all add up to a striking whole that will make a Ferrari or Lamborghini seem so mass-market. 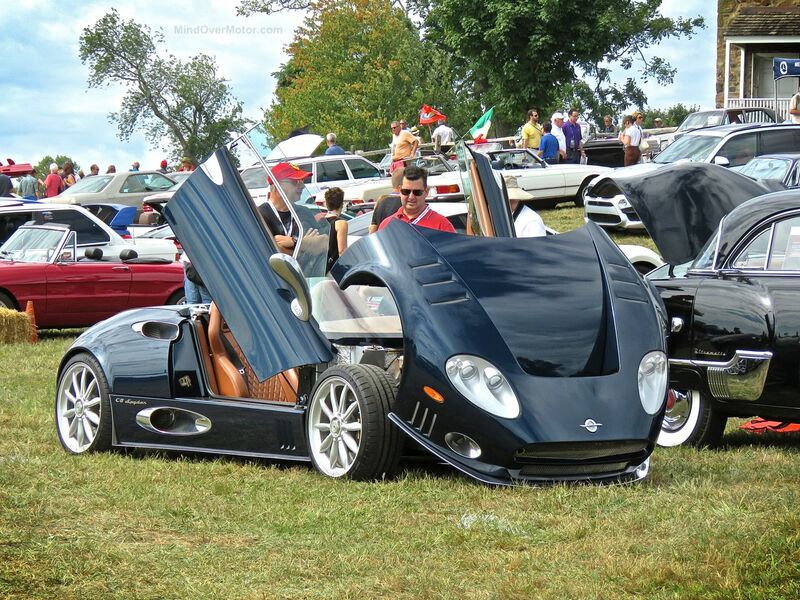 This Spyker C8 LaViolette was a centerpiece at the Misselwood Concours this year. People adored it, whether they knew what it was or not. 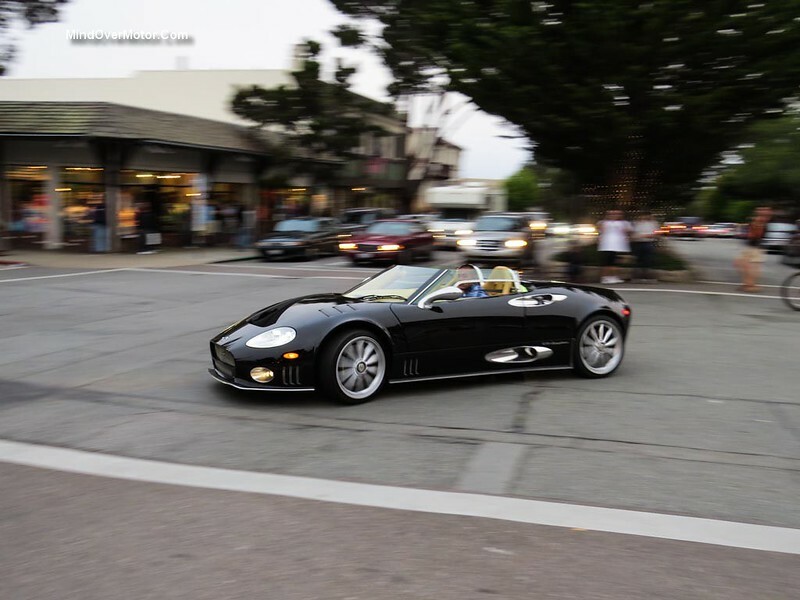 Spykers are such incredible cars. The further we go into the digital age, the more desirable their hand crafted analogue nature becomes. I mean, just look at the fine details in that interior, and that exposed gear shifter. It’s lightweight and it’s pretty darn simple, just you in full control of that splendid Audi V8. I can’t help but to love it. 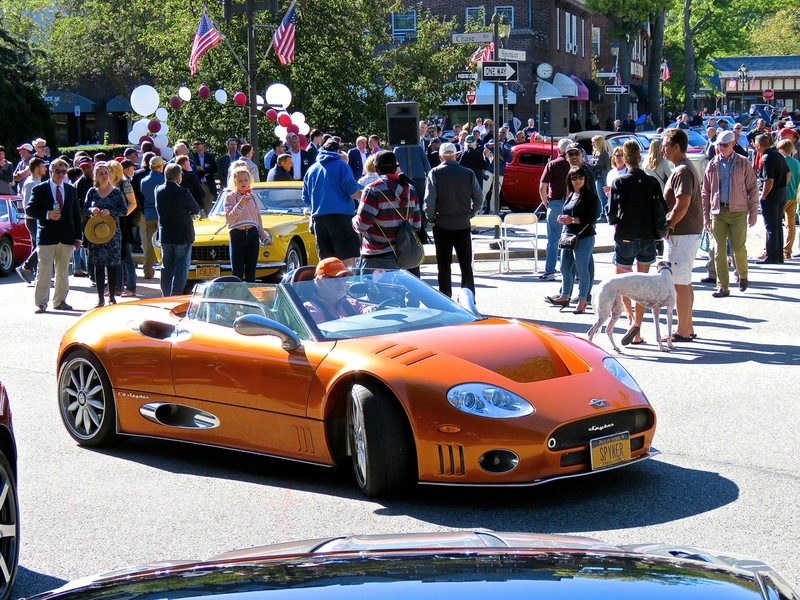 Spykers are immaculate hand-crafted sports cars made in Holland, and they’re quite rare. Luckily, this one shows up at many local car shows, so we get to see it a fair amount. Get a load of that pleated leather interior and the exposed gear linkage. Here are the exotic cars from the 2014 Greenwich Concours d’Elegance. 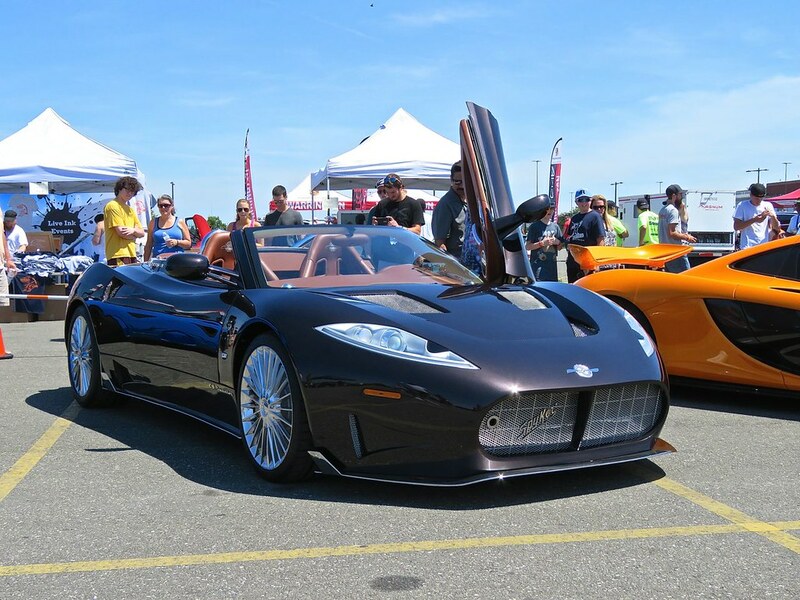 There was quite a spectacular display of some very rare supercars and hypercars on display this year, everything from the $1.9 million Pagani Huayra you see above, to a Ferrari Enzo, to the world-speed-record-setting Hennessey Venom GT, to Jim Glickenhaus’ P4/5 Competizione. It was surely a sight to be seen. The Pagani Huayra really stood out, though. 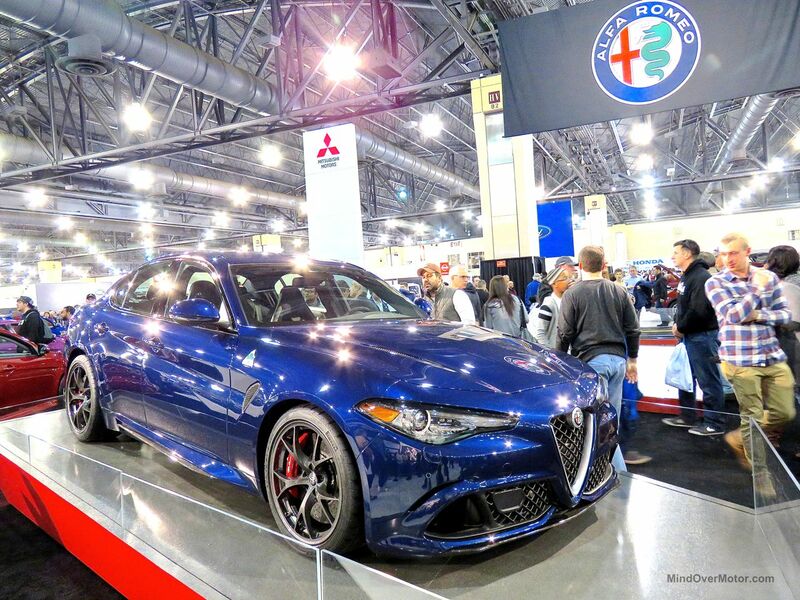 It spent both days of the show tucked away in the corner of Miller Motorcars’ display tent, but it was completely swamped with people the entire time. When it left the field, people literally lost their minds, jumping around in a reckless frenzy to try and snag the perfect shot of it. Is easy to see why people go completely nuts over the Huayra when after a decade of grueling depravation for American car enthusiasts, it is the first Pagani to finally make it stateside. But the Huayra is also an exceptionally magnificent object, even by seven-figure supercar standards. Every aspect of the car seems so “full,” right down to the finest detail — nothing has been overlooked or under-thought. While fighting through the ever-thickening fog on the evening before the main event at Pebble Beach, Nick and I were attempting to do some car-spotting before the sun disappeared and the fog descended, which ended up thwarting a good amount of our efforts to get some good pictures. Luckily, that didn’t happen with this Spyker C8, which certainly wasn’t at all camera-shy.